This page links you to agencies and organisations providing information and assistance for earthquake recovery. A site where Canterbury residents can get information about the residential rebuild and repair process. Developed in collaboration with community representatives and recovery agencies. Post your question and they will answer. Ōtākaro Ltd - Crown company established to deliver key anchor projects and precincts in Christchurch. Regenerate Christchurch - Established to lead regeneration activities across greater Christchurch. Operates power distribution network for Christchurch and Central Canterbury. Information about repair work to city services (roads, water supply, storm water and wastewater systems and parks) following the earthquakes. The SCIRT Learning Legacy project began part way through the SCIRT programme to capture, document and share SCIRT learnings and innovations. It aims to make freely available the resources and tools to benefit organisations and communities world-wide, particularly those in high hazard zones. Map showing major road works and closures. Information about EQC’s managed repair programme. Previously some repairs were dealt with by Fletchers EQR. EQC is now the main point of contact for all customers. Information from the Christchurch City Council. Fund to assist owners of heritage buildings to repair damage. Videos and other information from the Ministry of Business, Innovation and Employment about best practice for earthquake repairs like "jack and pack". New Zealand’s primary provider of natural disaster insurance to residential property owners. Their site features detailed information on making a claim. A listing of local insurers from our Internet Gateway. Many have information specific to the Canterbury earthquake. General information on dealing with the aftermath of natural disasters. From the Insurance Council of New Zealand. Our eResource Carter’s Price Guide to Antiques or the China Matching Service can help with pricing broken valuables. Advice from the Ministry of Health. Dr Rob Gordon is an Australian specialist in disaster psychology who has supported people affected by more than 30 disasters. Watch the video in which Dr Gordon offers tips on dealing with earthquake-related stress. This campaign is about helping people realise that they’re not alone, encouraging them to connect with others, and supporting them to boost their wellbeing. A free download by Peter Stanley and Sarah Williams made available by the NIWA library. Non-fiction and fiction titles about earthquakes for children available in our catalogue. Information provided by the Christchurch City Council about earthquake community funding. Other local welfare agencies include Red Cross and Salvation Army. Official website providing temporary accommodation matching, social services coordination and financial assistance. Network of Residents Association and Community Group representatives from the earthquake-affected neighbourhoods of Canterbury. Aims for full community engagement in recovery processes and to work in partnership with recovery agencies. Free professional advice on Financial Literacy and Retirement Income on the Sorted website. 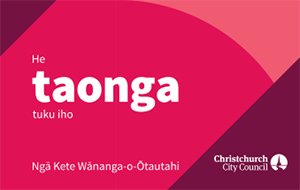 An independent community group provided to serve the residents of Christchurch. It also has a Facebook page which has lots of updated news and photos. Project to provide a popup shopping mall in the City Mall in central Christchurch. Collaborate Canterbury is managed by the Canterbury Employers’ Chamber of Commerce (CECC). Initiative which aims to temporarily activate vacant sites within Christchurch with creative projects such as community fairs, film shows and performances, exhibitions. Christchurch group dedicated to developing green spots, biodiversity hubs, pocket parks and community gardens on the sites of removed buildings. University of Canterbury CEISMIC Digital Archive is designed to preserve the memories and experiences of people of the Canterbury region. Includes Quakes Stories, and Kete Christchurch. A group dedicated to inspiring the people of Christchurch to activate the city’s vacant sites with creative, intriguing and entrepreneurial transitional projects.